This morning we wrote about the great news that the Swiss canton Graubünden is welcoming the return of the wolves to assist in the forest management. Their forests are becoming healthier since the wolf has returned. Now there is more great news: the majority of Austrians also welcome the returning wolves! A representative survey amongst 1,000 Austrians shows that 74 percent have a ‘positive’ or ‘very positive’ opinion on the natural return of the wolf. This is a clear statement that the majority does not support the call for wolf-free zones and eradication of these protected animals. The Austrians rather want to see, as soon as possible, measures to support a conflict-free coexistence. While the newspaper is often filled with negative opinions from individual representatives of hunter and famers’ associations, it is clear these demands are not supported by the electorate. A meeting between the representatives of the Ministry of Environment and all other interest groups is of high importance at this moment. The most important implementation steps need to be discussed to find solutions that work for all involved groups. And everybody needs to implement them right away. The biggest majority, 88 percent, demand an unbureaucratic procedure to support herd protection. 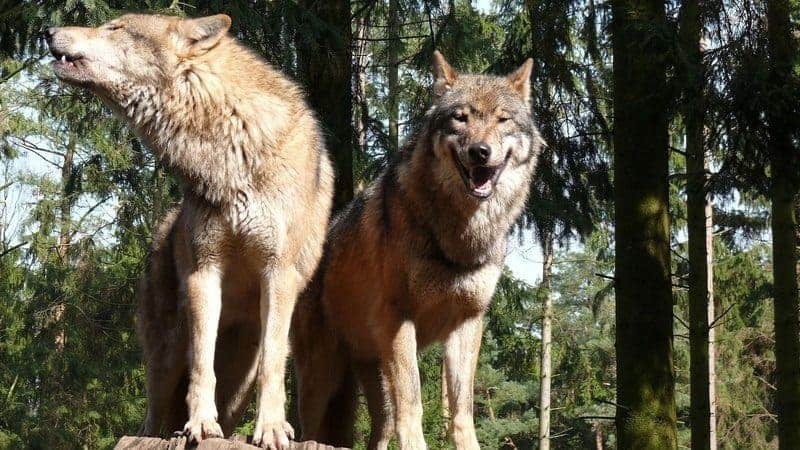 The survey shows that 84 percent of the Austrians see the wolf as an essential part of nature and 82 percent think that a peaceful co-existance is possible. The positive opinions are even higher in Lower Austria, the state that is already home to the wolf. A stunning 91 percent of the people indicated to have respect for the free-living wolves in Austria. Not only the people in the city, but also most people in rural areas (76 percent) welcome the wolf. Yet, their concern for damages by the wolf is also higher. Linzer Market carried out the survey, on behalf of WWF, also identifying a group of hunters in the sample. The hunters showed the similar opinion as the total population. It is a clear statement that the negative voices against the wolf come from a minority in Austria. The overall acceptance is the result of collaboration between politicians, nature conservationists, farmers and hunters. This is a similar reaction as evidenced by a large survey in Germany which showed that 65 percent of the Germans love wilderness and support natural forests and floodplains. About 80 percent would prefer the wilderness as wild as can be, and be able to visit it too. The percentage of Germans that welcomed the wolf was lower (44 percent) than in Austria. Yet, it is still the majority who favours their return. Just recently German shepherds, hunters, farmers and NGOs agreed on a common wolf strategy. It clearly shows that the number of people who appreciate and respect European wilderness continues to grow.